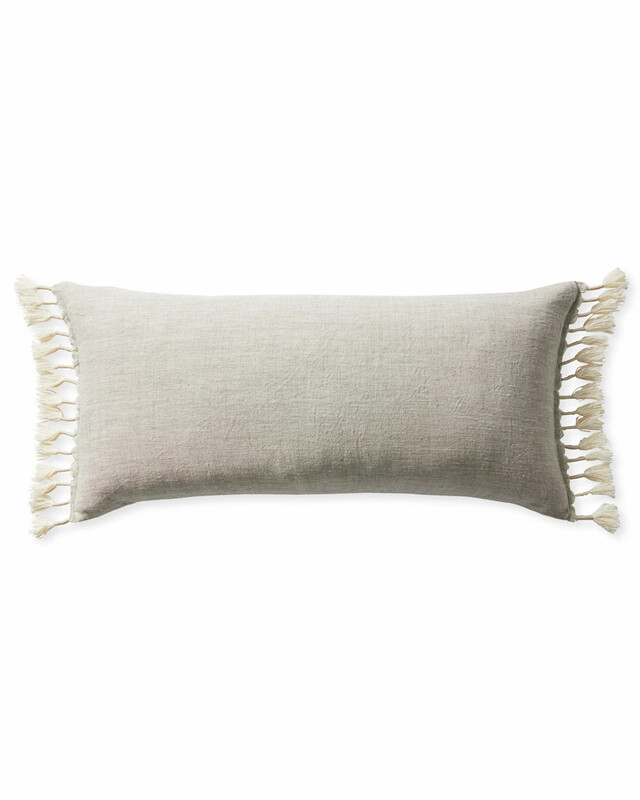 Topanga Pillow CoverTopanga Pillow Cover, Ivory alt="Topanga Pillow Cover, Ivory"
Print An authentic chambray weave – with white yarns crossing dyed yarns – gives this pillow a soft, washed look. Pure linen keeps it elevated. Nicely finished with hand-knotted tassels along the sides, it has an unexpected vibe that makes the room just a little more interesting. Hidden zip and knife edge closure.